The war between the Redwood Pack and the Centrals is one of wolf legend. Gina Eaton lost both of her parents when a member of their Pack betrayed them. Adopted by the Alpha of the Pack as a child, Gina grew up within the royal family to become an enforcer and protector of her den. She's always known fate can be a tricky and deceitful entity, but when she finds the one man that could be her mate, she might throw caution to the wind and follow the path set out for her, rather than forging one of her own. Quinn Weston's mate walked out on him five years ago, severing their bond in the most brutal fashion. She not only left him a shattered shadow of himself, but their newborn son as well. Now, as the lieutenant of the Talon Pack's Alpha, he puts his whole being into two things: the safety of his Pack and his son. When the two Alphas put Gina and Quinn together to find a way to ensure their treaties remain strong, fate has a plan of its own. Neither knows what will come of the Pack's alliance, let alone one between the two of them. The past paved their paths in blood and heartache, but it will take the strength of a promise and iron will to find their future. Quinn would do anything for his son. Including mate the one person he refused to want. 1001 DARK NIGHTS: WICKED WOLF by Carrie Ann Ryan is the first book I've ever read by this author, but, after inhaling it this afternoon, I plan to check out her other books soon. I received this book as one of my goodies in my check-in bag at the Coastal Magic Convention; I hereby send out a fervent thanks to the universe to whoever was responsible for placing this book in my bag as I really enjoyed it. I've read that this book was multi-purposed; It was meant to serve as an introduction to her writing, to both her Redwood Pack and her Talon Pack series and also as a bridge between the two series. I also liked that it has a wonderful witchy element to it also. Obviously, since I've not read any of her other books, this installment works well as a standalone. It riveted my attention from the first page all the way through to the last. 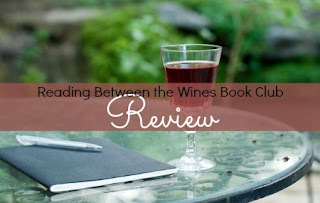 There were interconnected characters with her other books, but I never felt lost as the author seamlessly provided all the information I needed to fully enjoy this story. This was the tale of two wolf-shifters in two neighboring packs: Quinn Weston, a lieutenant in the Talon Pack, and Gina Eaton, a wolf-witch hybrid destined to be the Enforcer of the Redwood Pack. Quinn has essentially been a broken man since his mate broke their mating bond with the assistance of a dark witch five years ago. He and his son both almost died because of his mate's betrayal. Now, as the Redwood and Talon packs strive to more closely align their packs, he finds himself inextricably drawn to Gina. Because he was wronged by that witch years ago, he can never allow himself to trust another witch. Gina finds herself drawn to the gorgeous, heavily-inked shifter. But, his intense gaze on her is not a friendly one. With her heart at risk, can she survive being around this alpha male? Fear and betrayals may very well circumvent any chance at happiness for this couple. They had scintillating chemistry; but, will their fears and past betrayals prevent them from opening their hearts to a better future? Fasten your seatbelt for an emotional roller coaster ride. Finally, sweet finally, he was inside her to the hilt. "I need a second," he ground out, his body pulsing. "You're really freaking big, Quinn," she panted. "Move. Please, for the love of the goddess, move." He grinned before kissing her. "You say such sweet things." He stood back then stripped off his shirt. She let out a gasp then hesitantly put her hand out before pulling back. He took her hand in his then put her palm over his heart. "It's okay, you can touch. You can do anything you want." She ran her hand over his head then gripped his hair. "More licking. Less talking." I thoroughly enjoyed Carrie's writing. It exuded emotion which was perfect for this story. The book did not feel rushed as sometimes happens with short reads and the characters and story were fully developed even though the book was a relatively quick read. 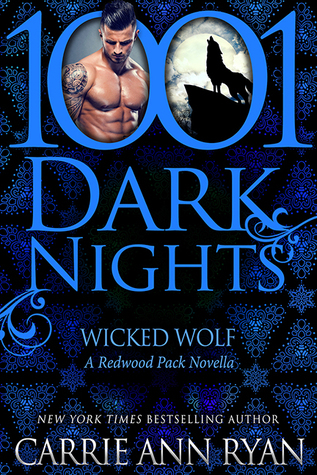 I would highly recommend 1001 DARK NIGHTS: WICKED WOLF to anyone who enjoys bewitching, passionate and heartfelt paranormal shifter romances.